Our students completed these projects in the fall, but due to some technical complications involving the 30 Hands app, the new ios, and youtube, we had to wait for the app to update before posting. So, better late than never, here are our students’ slideshows. Take a look when you have a moment. Students conducted their own research, worked in groups to plan, used ipads to capture images, and used the 30 Hands app to compile the images and record narratives. It’s 27 degrees and snowing for the first time this year at EY. Our students are using their experience from building the first writing machine to design and construct a second version. The goal is to construct a writing device that will draw a shape or design other than a circle. Today our students become part of the quality control department and will inspect and evaluate each other’s devices using a company scoring guide. Check out the video to see some engineering in action! 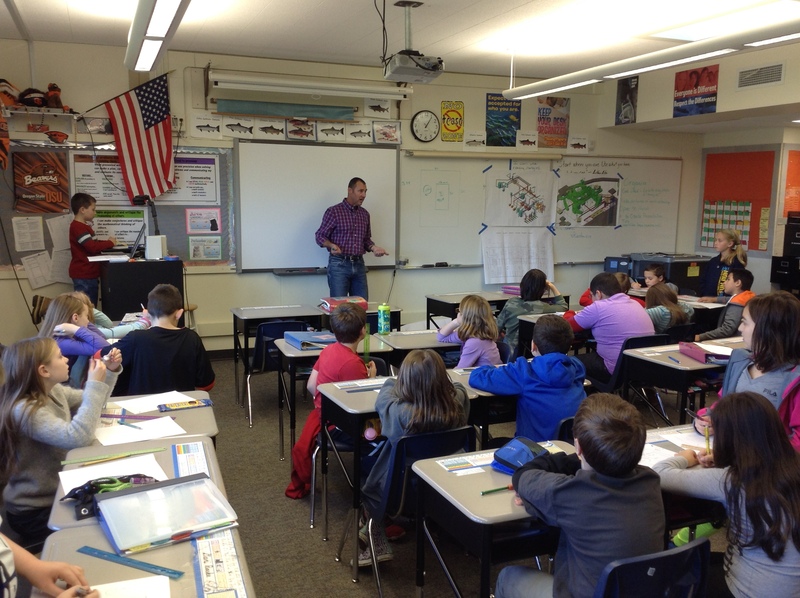 EY Parent, Brody Anderson, was a guest speaker and teacher in our 4th grade math class today. He shared how he uses math skills such as area and perimeter in his swimming pool construction business, Anderson Poolworks. Students had the opportunity to calculate the area and perimeter of different swimming pool designs including one of their own. Our kids were fascinated and had many questions involving how math is used in pool construction. Thanks, Mr. Anderson, for taking time to meet with us today.